A romantic nature resort on the shores of the Great Barrier Reef. 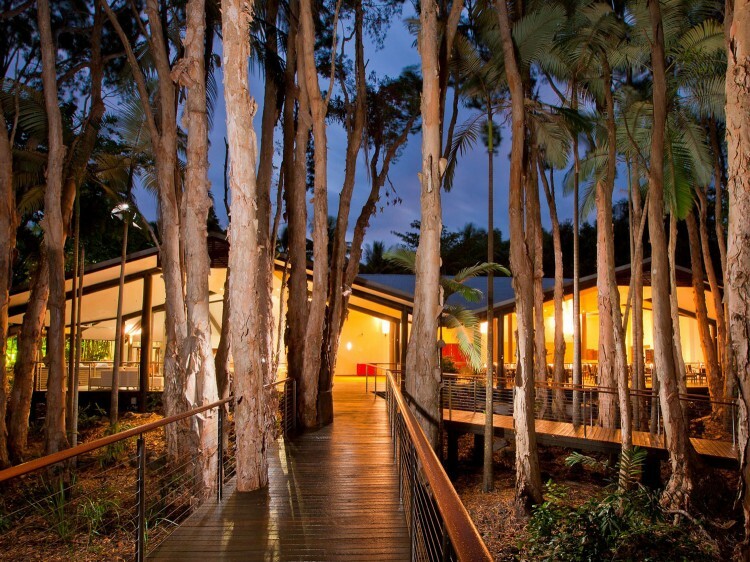 There's nothing like the holiday accommodation at Kewarra Beach Resort & Spa - unique, exclusive and special. Beautifully appointed individual deluxe bungalows and spacious suites are discretely situated throughout the 30 hectares of lush tropical gardens. Arrive in Cairns and relax in beachfront accommodation nestled between the Great Barrier Reef and the pristine tropical rainforests of North Queensland. At Kewarra Beach Resort & Spa you will enjoy private beachfront accommodation or deluxe rainforest accommodation in a beautiful tranquil environment that reflects the very essence of tropical Australia. Two free form swimming pools will invite and refresh you. 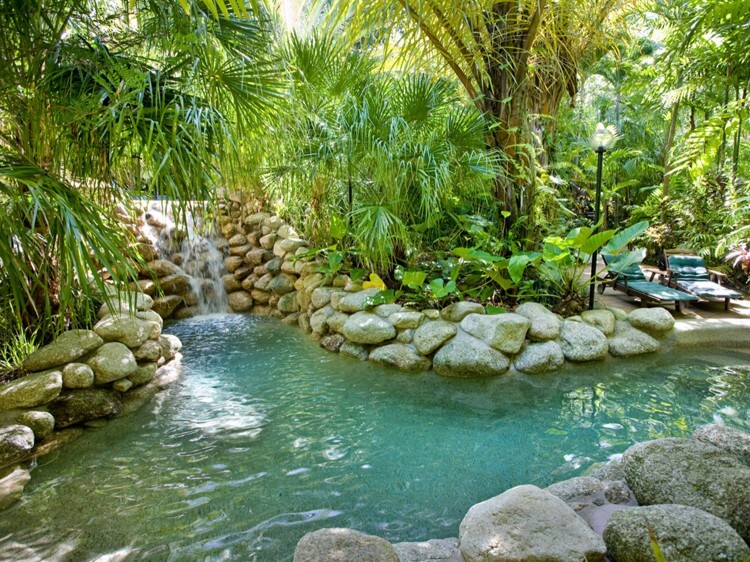 From the waterfall spa to the secluded cave, the main swimming pool will provide a central relaxing point during your stay. The second freeform rock pool, seasonally heated to 30°C, provides an intimate location for a quiet swim. The breathtaking tropical gardens that surround the tranquil pools coupled with the native birdsong combine to create a truly remarkable tropical ambience. Wander through Kewarra's gardens through to the beautiful, private and secluded beach, or take the gardeners tour. The gardens are designed to be a natural habitat attracting birds, butterflies and small marsupials. Paperbark Restaurant - tempt your palate with exquisite local seafood and an array of tantalizing dishes. The kitchen brigade prides itself in creating innovative menus that reflect the diverse range of unique flavours that tropical North Queensland and the Great Barrier Reef are renowned for. With the morning chorus of native birdlife welcoming the day fresh tropical fruits and local dairy produce compliment your sumptuous breakfast, served overlooking the tranquil gardens. Enjoy local delicacies in the open-air terrace restaurant overlooking tranquil tropical rainforest gardens. 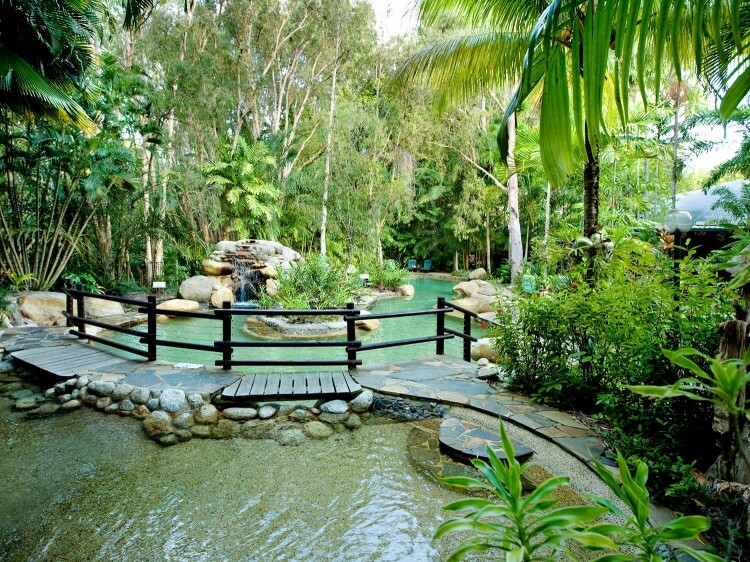 The White Lotus Spa is designed to reflect the beautiful tropical environment of the Kewarra Beach Resort, with its unique beachfront and rainforest setting. Enjoy the peace and tranquility of the pamper packages, inspired by the tropical location, featuring Australian native fragrant oils, clays, herbs and fruits. Feel the warmth of the tropics with a Monsoon Vichy Shower, or experience a cooling body wrap, relaxing massage or customized facial. Spacious and tastefully appointed with modern furniture and art. 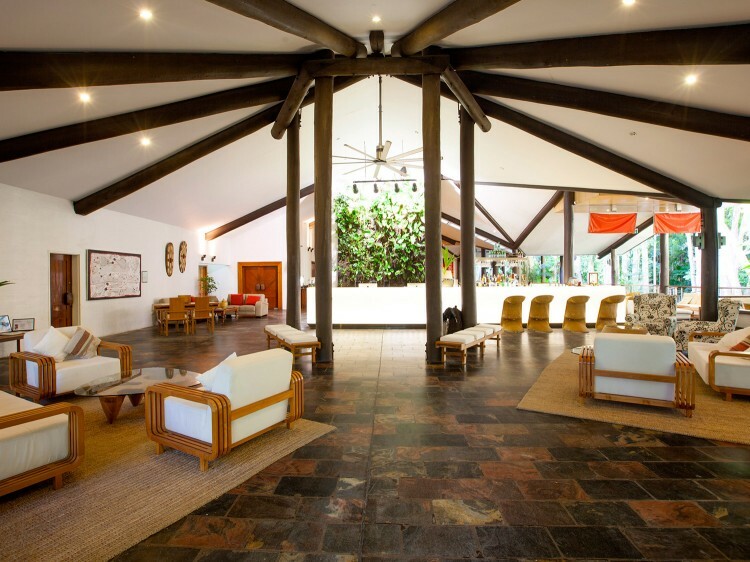 Each bungalow is cleverly designed to blend into the natural rainforest. A honeymooner's dream! Spectacular absolute beachfront accommodation, beautifully decorated with polished timber floors and stylish modern furniture. A luxurious romantic hideaway right on the beach. A luxurious and exclusive accommodation option built around a tranquil water feature. Huge private patios with matching deck furniture, modern interiors with spacious living areas.